This is an excellent cake for when you have company over, or, if you have more English sensibilities, with an afternoon tea. It could also be a delicious dessert, perhaps with some vanilla or pistachio ice cream. It went so quickly that I did not even get a picture of it until half was already eaten. I got this recipe from my Momma, so you know it must be good. Below is the original recipe with some of my comments in parentheses. 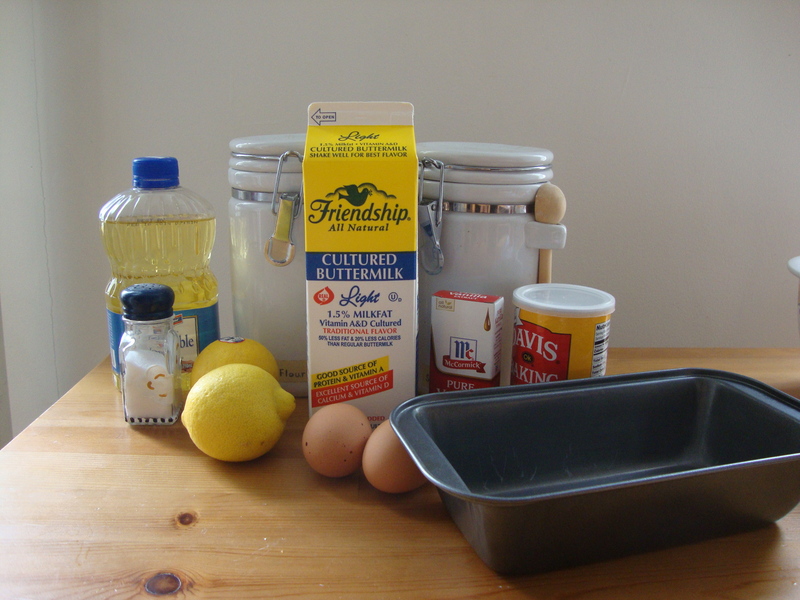 In a medium bowl, whisk together the oil, sugar, buttermilk, eggs, lemon zest and juice, and vanilla. Add to the dry ingredients and whisk to combine. 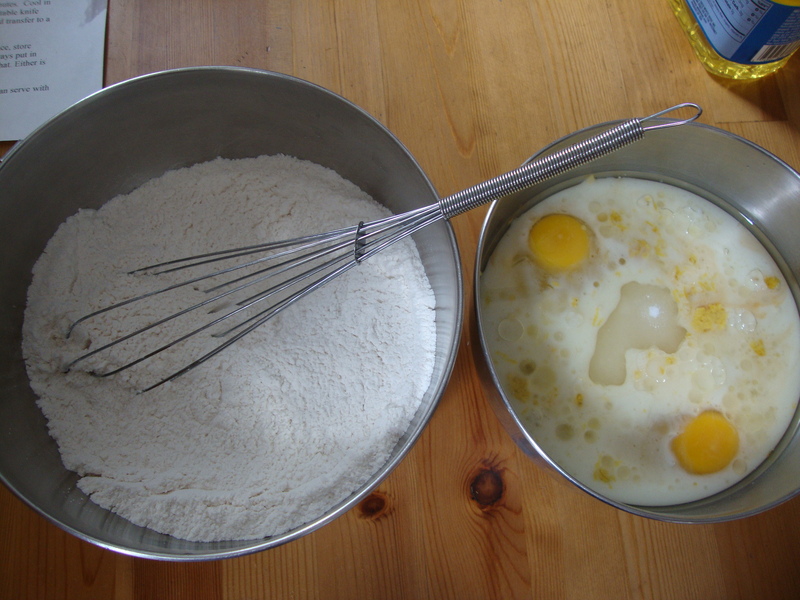 Transfer the batter to the prepared pan and bake until a toothpick inserted in the center comes out clean. 65 to 75 minutes (I cooked mine closer to 75 minutes). Cool in the pan for 15 minutes, then remove (helps to run a table knife around the edges first) and transfer to a rack to cool completely. 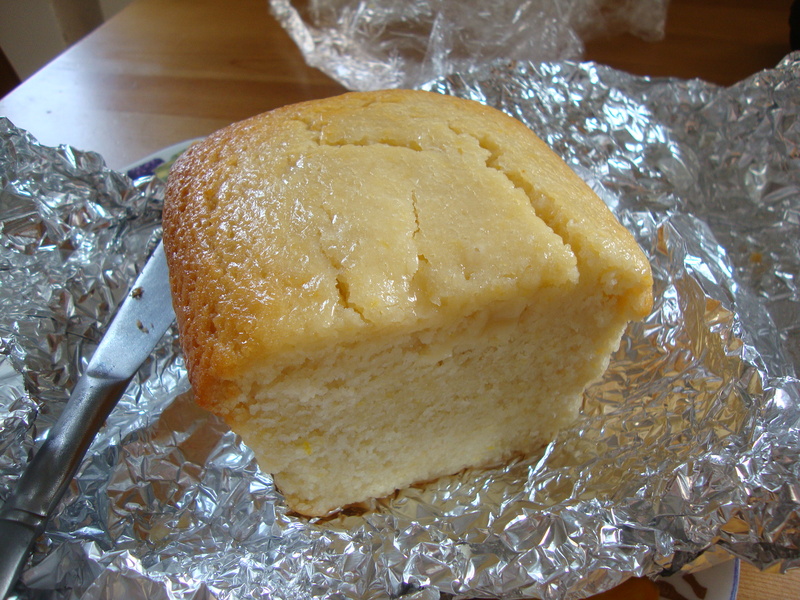 To prep ahead: Make the cake up to 2 days in advance and store tightly wrapped. It says store at room temp but I put it in the refrigerator wrapped in plastic, then put foil around that. This looks delicious (and dense!) – can’t wait to make it! I’ve been looking for more lemon recipes! It’s dense in the sense that it’s very moist and a true cake. The lemon freshness definitely helps prevent a heavy feeling!